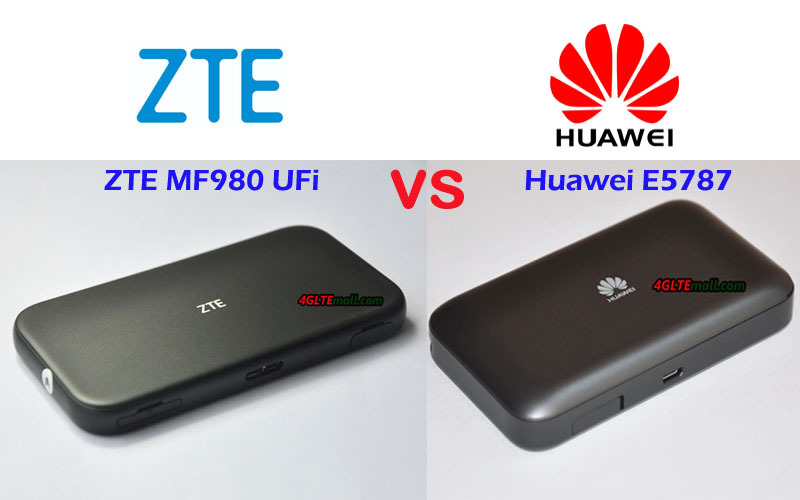 Summary From the specs table, we can see the ZTE MF980 is technically more advanced which could support LTE download speed up to 450Mbps on LTE Cat.9. 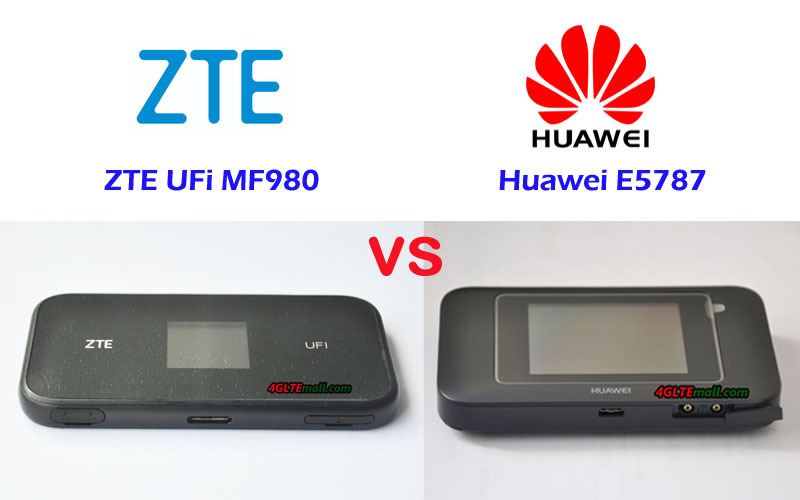 The Huawei E5787 supports LTE download speed to 300Mbps on LTE Cat.6. 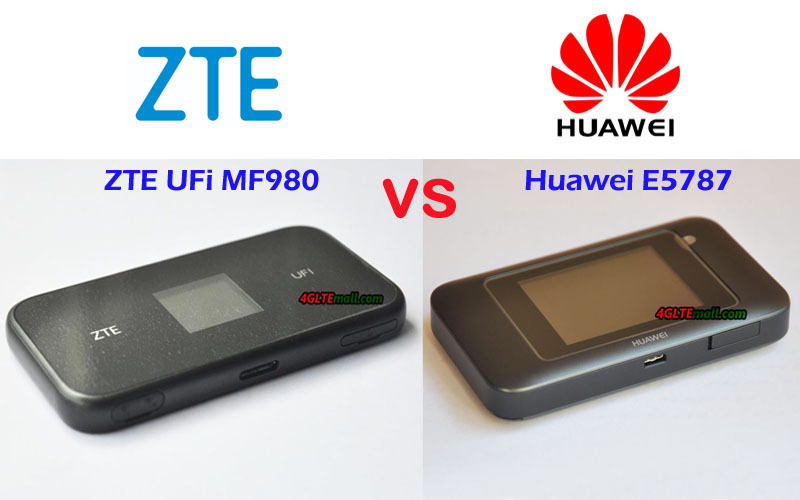 However, the newer model Huawei E5787 is more user-friendly, it has the touchscreen for settings and the removable battery is a very good feature for users. And Huawei E5787 has a large battery capacity which provides longer working time. They both have two connectors for two TS-9 external antennas, so users can use the same antenna as the two mobile routers. 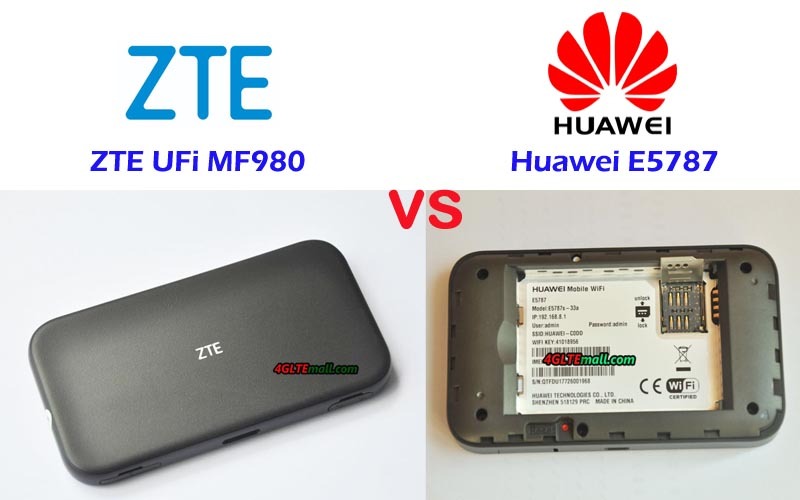 Like other Huawei Mobile WiFi, Huawei E5787 has two variant models, which covers different LTE band combination and could be used in more areas with the unlocked E5787.